Man: No, your end isn’t straight! You hassle people … When you cut a person’s power, remember that he does business. It causes damage and losses that come from you and, at the end of the day, you’re responsible! Like many unplanned settlements in Dar es Salaam, Tanzania, the neighborhood of Kibo is a network of winding dirt roads mottled by houses, kiosks, butchers, and grain threshers. 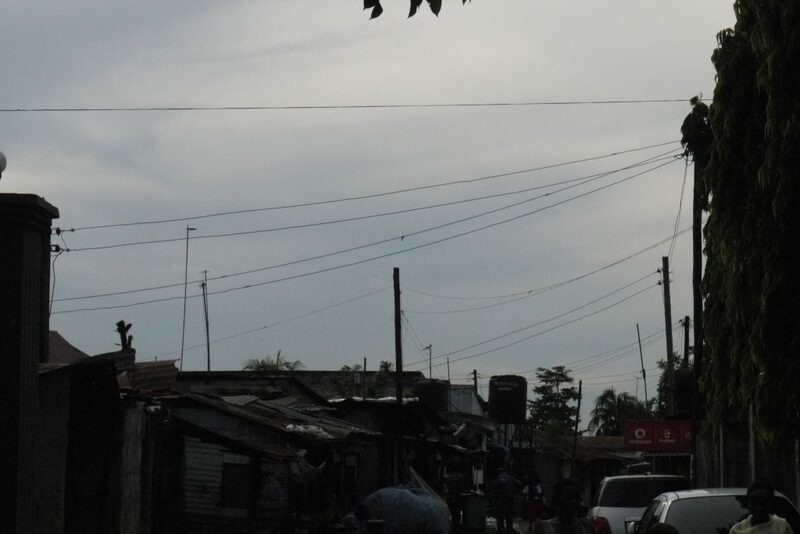 As part of my ethnographic fieldwork on Dar’s municipal power grid, I had been walking around Kibo with a “disconnection team” dispatched by the national electrical utility, Tanesco. After a company truck had dropped us off that morning, the team split into groups of twos and threes and began trudging through the neighborhood, inspecting households for technical irregularities and tracking down unpaid accounts. Around 10:30 a.m., ready to break for tea, we converged with the other half of the team working the area. We found Sabina at the counter of a cramped pharmacy in front of a residential compound. A meter’s missing security seal—a thin loop of wire with plastic serial number tags that lock the casement—had drawn her suspicions, and an argumentative crowd. The tone here isn’t right. Wait—let me finish. The TONE HERE ISN’T RIGHT! Listen to me. First, even a meter arriving in a ship container already has seals, understand? If your meter doesn’t have a seal, we will assume you are a thief. Why do we assume that you are a thief? Because with that meter you can directly connect the line. You can set yourself up however you want and then afterwards reconnect. And that’s why when we install meters we install them with a seal. You were just accusing me, saying, ‘[You] want money, you like ripping us off,’—well, we are well-accustomed to these curses. Such arguments were not uncommon on Tanesco field patrols. The national power utility has suffered two difficult decades. Austerity reforms, corruption scandals, and rising consumer demand all have stressed the technical efficiency and fiscal health of its daily operations. While economic liberalization has flooded the city with fans, televisions, refrigerators, and other accoutrements of global modernity, the electricity required to power these devices remains expensive and unreliable. 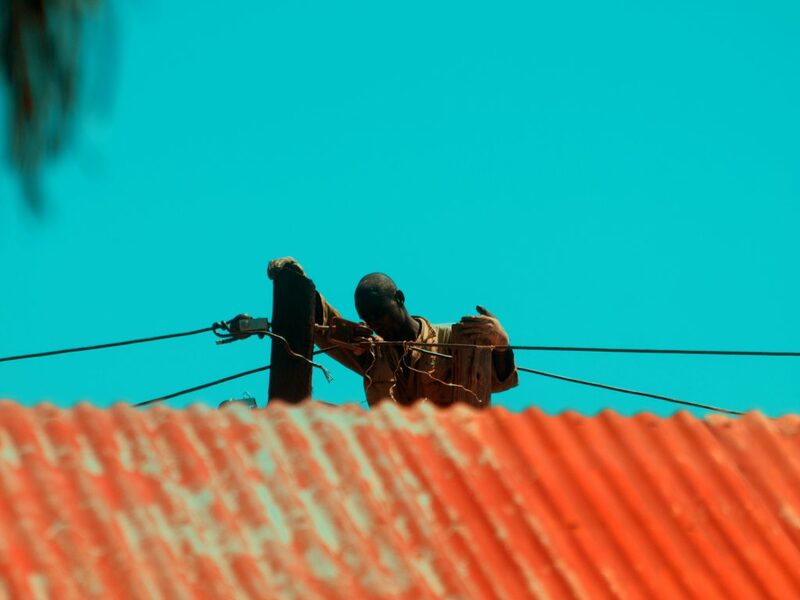 Hence in both dramatic and mundane ways, electrification channels the promises and problems of urban life in the aftermath of a morally charged African socialism. These promises and problems converge at one of the grid’s key chokepoints—its service lines. Service lines illustrate the “last mile problem” in infrastructural networks (Graham and Marvin 2001: 316). As logistics experts well know, the final leg of a journey—the Amazon package landing on your porch, guiding the ship into harbor, etc.—tends to account for a disproportionate amount of expense or inefficiency relative to the system as a whole. The problem is inherent to the structure of dendritic networks, in which high-volume, collective distribution hubs must interface with a bristling mass of individual end points. As we saw with Sabina and the disconnection team, “last miles” are vulnerable to congestion and stoppage, and, in turn, fertile ground for argument and innovation. While the power “grid” often evokes a flat, interconnected square, its topology is in key respects dendritic. At any given moment, 900-1,500 megawatts of Tanzanian-generated electricity is dispersed to approximately 900,000 separate residences and businesses (80 percent of which are located in Dar es Salaam). Consumers send money back through digital prepaid or analog postpaid metering systems, and these payments are recorded at local branch offices and, ultimately, at Tanesco’s national headquarters. In short, electrical current moves “down” to the decentralized, street-level branches of the network as currency moves “up” to the centralized offices (ofisini). The linchpin of this double movement is the service line—that assemblage of utility pole, transformer, cable, bracket, and meter. The service line both ferries power across a socio-legal threshold and quantifies that power in kilowatt hours. It is the critical social and technical connection point linking public network to private consumer. Spanning the public and private sides of the network, service lines are host to various frictions and vulnerabilities. The first kind of friction is technical. Most power infrastructure is at a spatial remove from consumers, elevated across transmission towers and utility poles along public roads. But the service line is an extension of state property that must pass into local neighborhoods and articulate with its buildings. As the network tapers down to the population of individual lines, it becomes entangled—sometimes literally—in the lifeworlds of local neighborhoods. Cables catch in branches or droop precariously over metal roofs. Utility poles can be knocked by cars or buses; meters and the copper wiring are vulnerable to theft; oil is siphoned out of transformers and used for cooking. 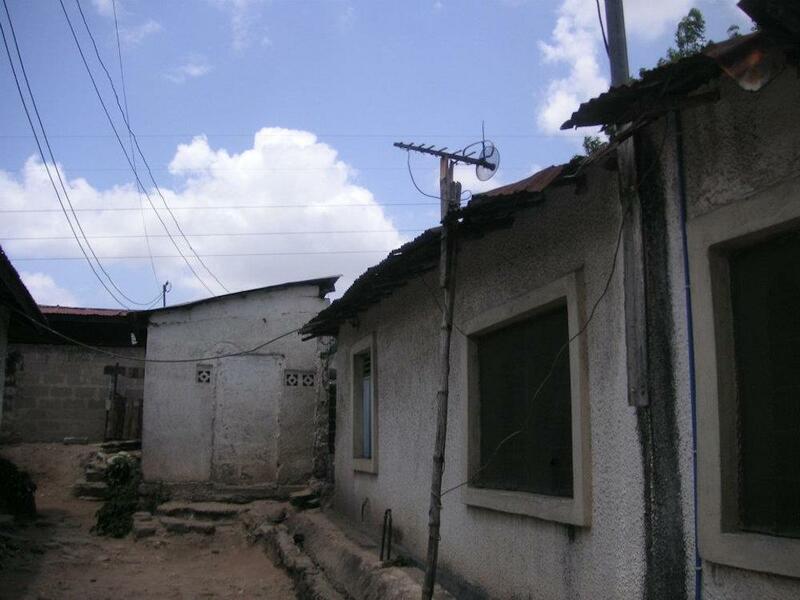 When these various frictions choke off a service-line connection, consumers’ asymmetrical dependence on Tanesco comes to the fore. Like air travel or road networks, the power grid’s interconnectors generally allow for multiple routes to a destination, thereby preventing an entire network shutdown. But there is no way to reroute a journey if the destination itself is blocked—a truth familiar to anyone who has waited helplessly for the arrival of the cable guy or the city snowplow. Tanesco consumers similarly are cut off when their local utility poles fall over, their wires strip, or their meters are ripped off the wall. They must endure service delays that are long, economically damaging, and often dangerous. In such moments, the structural vulnerability of the “last mile” becomes clear. It is simultaneously too localized (warped by specific conditions) and not localized enough (dependent on logistical coordination from the center). In response, residents develop contingency plans around the service line. 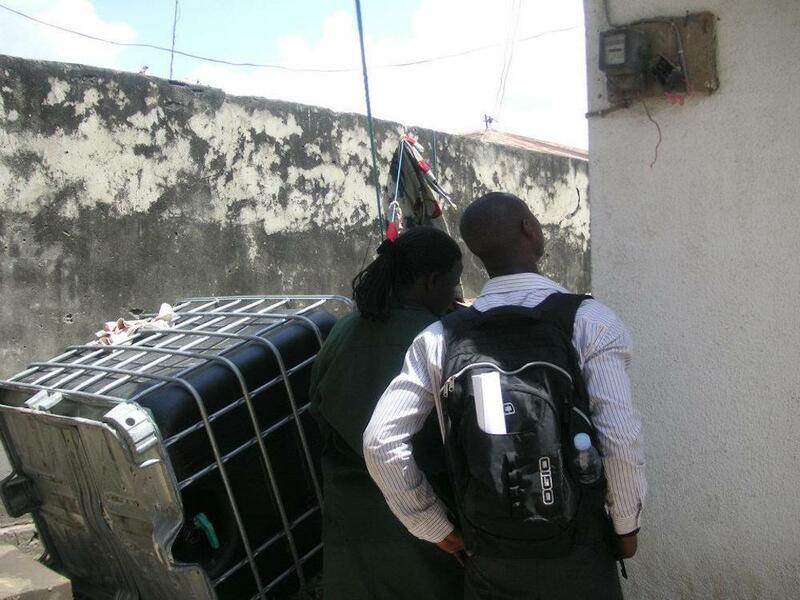 They purchase solar-powered backup systems and generators, solicit unofficial repairs by vishoka—a mixture of moonlighting Tanesco employees and freelance “street electricians”—and offer bribes to expedite maintenance. If the flow of electricity “down” the last mile involves technical friction, the flow of money back “up” involves a host of social frictions, as well. As current passes through the meter, it is measured in kilowatt hours, which is the first step in the billing and payment process that channels currency upward towards the centralized Tanesco offices. However, kilowatt hours are a rather imperfect expression of consumption because a “household” is a misleadingly standardized abstraction. The postpaid billing system assumes that a household corresponds to a set social unit, has clearly delineated roles concerning payment, and has the means to afford that payment. Yet, as the scene at Kibo suggests, households in Dar es Salaam often comprise complex webs of distributed responsibility. “Swahili”-style homes, for example, comprise multiple rooms that surround a single courtyard, often shared by multiple families. Commercial activities such as kiosks, artisanal workspaces, or indeed pharmacies agglomerate onto these structures, as well. An overlapping network of owners, renters, extended kin, and employees thus traverse what from the perspective of the meter is a single social space; hence households fall behind on bills, dispute their responsibility for them, or abscond before paying them. Experienced residents learn to inquire into any existing electricity debt on the meter before renting a new room or house, lest they unwittingly inherit the financial burden. While busted service lines dramatize consumers’ dependence on an overcentralized utility, unpaid debts point to Tanesco’s dependence on an undisciplined periphery. As one Tanesco manager put it to me: “Our efficiency as Tanesco depends on the society. Our customers, we can’t even identify their names, how do we transact? One day a customer comes in and says his name is this, tomorrow he’ll change his name. You are dealing with nobody. Who are your customers?” The inability of meters to capture this social complexity manifests as debt. Disconnection teams also express this structural friction; they are the utility’s “reply” to nonpayment. Residents can protest, curse or plead, but in the end the teams can only “follow the disconnection sheet” and forcibly reset communication between the household and the meter. At a certain point, however, these diametric social and technical breakdowns can feed back and blur into a vicious cycle. Excessive disrepair frays trust and further disinclines residents to participate in the formal system of billing. Consumer distrust, conversely, can manifest itself through physical tampering of the line. As mentioned above, vishoka earn income negotiating the technical chokepoints in repair and installation, and this extends to the social chokepoints in billing and payment: they can bypass meters, surreptitiously reconnect them, or slow down their recording mechanisms. In this context, something as ordinary as a missing seal becomes ambiguous as to what it signifies. Did it index Tanesco oversight or, as Sabina seemed to suspect, consumer tampering? Because both of these possibilities grow along the vexing final mile of the service line, the missing seal became a site of recrimination, a place where one could feel, affectively, the entire structural vulnerabilities of the network in one small artifact. Animated by a widespread managerial obsession with speed and efficiency, smoothing out the last-mile problem and its chokepoints is the stuff of capitalist invention and ideological investment. It was reported recently that the California startup Zipline plans to begin using drones in Tanzania to deliver medicine from its distribution centers to rural villages, thereby bypassing the difficult mountainous terrain (Landhuis 2017). As opposed to the relatively rough space of land, the relatively smooth space of air reduces the structural distance between the two geographical points. Conversely, the growing popularity of prepaid meters in Africa simplifies the frictions of payment by eliminating the very possibility of debt. This practice reflects the Nobel Prize-winning insights of “nudge theory,” in which efficiency gains and behavioral control lie in properly smoothing out the “choice architecture” of citizen-consumers (Thaler 2009). In prepayment, power is off until purchased, and this default setting disciplines people to consume in ways the network more easily recognizes. Such technical nudges belie the inherent politics of infrastructure (Von Schnitzler 2016). Pathways privilege certain features of their destinations (e.g. reachable by air) at the expense of others (e.g. reachable by land). In some basic sense, pathways format their destinations. They force destinations—to greater or lesser degree—to orient themselves to the pathway’s features: postpaid meters create consumers that can pay their bills on time, whereas prepaid meters create consumers that must pay their bills on time. But the actual complexity of destinations can obstruct pathways in return, forcing them to adapt or reroute. Following disconnection teams underscored the way the power network becomes hopelessly entangled in the physical distribution of neighborhoods, their social relations, and their cultural expectations. In particular, service lines emerged as the chokepoints linking Tanesco’s centralized infrastructure to its decentralized destinations, the “last mile” where the network’s underlying logics are both felt and negotiated. Graham, Stephen and Simon Marvin. 2001. Splintering Urbanism: Networked Infrastructures, Technological Mobilities and the Urban Condition. New York: Routledge. Landhuis, Ester. “Tanzania Gears Up to Become a Nation of Medical Drones.” National Public Radio. http://www.npr.org/sections/goatsandsoda/2017/08/24/545589328/tanzania-gears-up-to-become-a-nation-of-medical-drones. Thaler, Richard. 2009. Nudge: Improving Decisions About Health, Wealth, and Happiness. New York: Penguin Books. Von Schnitzler, Atina. 2016. Democracy’s Infrastructure: Techno-Politics and Protest after Apartheid. Princeton: Princeton University Press.